"New Orleans Airport" redirects here. For the other airport serving New Orleans, see Lakefront Airport. Louis Armstrong New Orleans International Airport (IATA: MSY, ICAO: KMSY, FAA LID: MSY) (French: Aéroport international Louis Armstrong de La Nouvelle-Orléans) is an international airport under Class B airspace in Jefferson Parish, Louisiana, United States. It is owned by the city of New Orleans and is 11 miles (18 km) west of downtown New Orleans. The airport's address is 900 Airline Drive in Kenner, Louisiana. A small portion of Runway 11/29 is in unincorporated St. Charles Parish. Armstrong International is the primary commercial airport for the New Orleans metropolitan area and southeast Louisiana. The airport was formerly known as Moisant Field, and it is also known as Louis Armstrong International Airport and New Orleans International Airport. MSY covers 1,500 acres (607 ha) of land. Armstrong's scheduled regular and seasonal international nonstop passenger service destinations include LondonHeathrow, Frankfurt, TorontoPearson, Panama City, and Cancun. At an average of 4.5 feet (1.4 m) above sea level, MSY is the 2nd lowest-lying international airport in the world, behind only Amsterdam's Schiphol International Airport in the Netherlands, which is 11 feet (3.4 m) below sea level. Prior to Hurricane Katrina, MSY served 9.7 million passengers per year, nearly all of them non-connecting. In 2016 it served 11,139,421 passengers, an all-time record for the airport and 4.4% more than 2015. In 2017, the airport set yet another all-time record, with 12,009,512 passengers handled; eclipsing that record yet again in 2018 with 13,122,762 passengers. MSY opened after World War II, replacing the older New Orleans Lakefront Airport (which kept the NEW and KNEW airport codes and now serves general aviation) as the city's main airport. MSY was renamed in 2001 after Louis Armstrong, the famous jazz musician from New Orleans. In January 2016, the airport began replacement of the current terminal by starting construction on a new terminal located on the north side of the airfield. The terminal is slated to have 35 gates, which can be expanded to 42 gates in the future. Plans for a new airport began in 1940, as evidence mounted that the older Shushan Airport (New Orleans Lakefront Airport) was too small. The airport was originally named Moisant Field after daredevil aviator John Moisant, who died in 1910 in an airplane crash on agricultural land where the airport is now located. Its IATA code MSY was derived from Moisant Stock Yards, as Lakefront Airport retained the "NEW" code. In World War II the land became a government air base. It returned to civil control after the war and commercial service began at Moisant Field in May 1946. On September 19, 1947 the airport was shut down as it was submerged under two feet of water in the wake of the 1947 Hurricane's impact. When commercial service began at Moisant Field in 1946, the terminal was a large, makeshift hangar-like buildinga sharp contrast to airports in then-peer cities. A new terminal complex, designed by Goldstein Parham & Labouisse and Herbert A. Benson, George J. Riehl and built by J. A. Jones Company, debuted in 1959 towards the end of Mayor DeLesseps "Chep" Morrison's administration. The core of this structure forms much of the present-day facility. Retired United States Air Force Major-General Junius Wallace Jones served as airport director in the 1950s. During his term, the airport received many improvements. The April 1957 Official Airline Guide (OAG) listed 74 weekday departures: Delta Air Lines 26, Eastern Air Lines 25, National Airlines 11, Capital Airlines 5, Southern Airways 4, and Braniff International Airways 3. Pan American World Airways had six departures each week while TACA, a Central American airline, had four. By the early 1970s, United, Texas International Airlines, Aviateca and SAHSA were also operating at the airport. 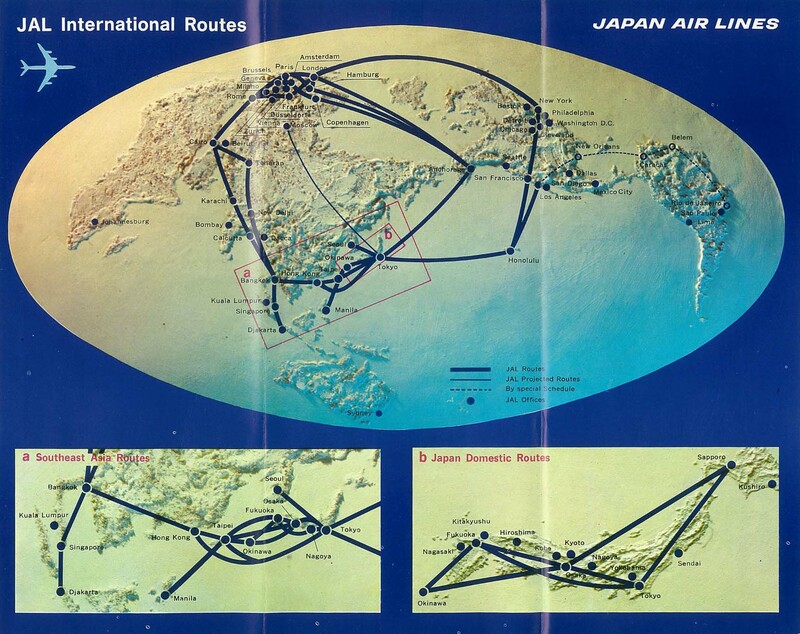 During the 1960s, Japan Airlines used New Orleans as a stop on its multi-stop special service between Tokyo and São Paulo, Brazil. By the time the 1959 airport terminal building opened, the name Moisant International Airport was being used for the New Orleans facility. In 1961, the name was changed to New Orleans International Airport. In July 2001, to honor the 100th anniversary of Louis Armstrong's birth (August 4, 1901), the airport's name became Louis Armstrong New Orleans International Airport. During the administration of Morrison's successor, Vic Schiro, the government sponsored studies of the feasibility of relocating New Orleans International Airport to a new site, contemporaneous with similar efforts that were ultimately successful in Houston (George Bush Intercontinental Airport) and Dallas (Dallas-Fort Worth International Airport). This attempt got as far as recommending a site in New Orleans East; a man-made island was to be created south of I-10 and north of U.S. Route 90 in a bay of Lake Pontchartrain. In the early 1970s it was decided that the current airport should be expanded instead, leading to the construction of a lengthened main terminal ticketing area, an airport access road linking the terminal to I-10, and the present-day Concourses A and B. New Orleans Mayor Sidney Barthelemy, in office from 1986 to 1994, later reintroduced the idea of building a new international airport for the city, with consideration given to other sites in New Orleans East, as well as on the Northshore in suburban St. Tammany Parish. Only a couple months before Hurricane Katrina's landfall, Mayor Ray Nagin again proposed a new airport for New Orleans, this time to the west in Montz. These initiatives met with the same fate as 1960s-era efforts concerning construction of a new airport for New Orleans. In the summer of 2001, in commemoration of the centennial of Armstrong's birth, New Orleans's main airport was renamed Louis Armstrong New Orleans International Airport. MSY reopened to commercial flights on September 13, 2005 after the devastation of Hurricane Katrina the previous month, with four flights operated by Delta Air Lines to Atlanta and a Northwest Airlines flight to Memphis. Slowly, service from other carriers began to resume, with limited service offered by Southwest Airlines, Continental Airlines, and American Airlines. Eventually, all carriers announced their return to MSY, with the exception of America West Airlines (which merged into US Airways two weeks later) and international carrier TACA. In early 2006, Continental Airlines (since merged into United Airlines) became the first airline to return to pre-Katrina flight frequency levels, and in September 2006, to pre-Katrina seat capacity levels. All international service into MSY was suspended while the FIS facility was closed post-Katrina. The facility reopened to chartered flights arriving from London, Manchester, Bournemouth, and Nottingham, UKall carrying tourists in for Mardi Gras and set to depart aboard a cruise liner. In May 2010, AirTran announced new daily nonstop service to its hub in Milwaukee utilizing Boeing 717 twin jet aircraft, which then commenced on October 7, 2010. This route marked MSY's first all-new city addition since 1998. AirTran was acquired by Southwest Airlines, which in turn began operating the route. In November 2010, United Airlines announced resumption of daily nonstop service to San Francisco, the largest pre-Katrina domestic market that had yet to resume service to New Orleans. On July 16, 2012, Spirit Airlines announced nonstop service from Dallas-Fort Worth to New Orleans, commencing in January 2013. Spirit became the first all-new domestic carrier, and second all-new carrier overall (after WestJet) to announce service to MSY, since 1998. MSY served 9,785,394 passengers in 2014, exceeding for the first time in the post-Katrina era the total passenger count of 9,733,179 achieved in 2004, the last full calendar year prior to Katrina's landfall in August 2005. A new record passenger count was set by the airport in 2015. 10,673,301 passengers were served, eclipsing the earlier record of 9.9 million passengers, set in 2000. Airlines qualify for a $0.75 credit per seat toward terminal use charges for scheduled departing seats exceeding 85% of pre-Katrina capacity levels for a twelve-month period. Airlines qualify for a waiver of landing fees for twelve months following the initiation of service to an airport not presently served from New Orleans. On January 17, 2008, the city's aviation board voted on an amended incentive program that waives landing fees for the first two airlines to fly nonstop into a city not presently served from the airport. Under the new ruling, landing fees will be waived for up to two airlines flying into an "underserved destination airport." The incentive previously referred to service to a "new destination airport." The airport is also continuing its incentive to airlines that reach 85% of their pre-Katrina flight frequencies. As of April 2019, Armstrong International has nonstop regularly scheduled flights to Canada, Panama, and the United Kingdom, and offers seasonal flights to Germany and Mexico. Both Delta Air Lines and United Airlines offer seasonal weekend flights to Cancún. Air Canada Express has been providing flights from TorontoPearson since October 2010. British Airways and Condor Flugdienst had respectively announced scheduled flights to London and Frankfurt beginning in March 2017 and May 2017. British Airways has now begun their new service and is operating Boeing 787 Dreamliner aircraft on their nonstop route to London Heathrow Airport. Condor is flying the Boeing 767-300ER, although the service they offer to Frankfurt is seasonal. National Airlines offered flights to Amsterdam, with advertised future service to Paris-Orly and Frankfurt in the late 1970s; Amsterdam was terminated soon after Pan Am acquired National in 1980, with Paris and Frankfurt never launching. In 1982, British Airways previously used Armstrong International as a stop on its route between London Gatwick and Mexico City. Louis Armstrong International has two terminals, East and West, connected by a central ticketing alley. Attached are four concourses, A, B, C and D. The vaulted arrivals lounge at the head of Concourse C and the adjacent, western half of the ticketing alley are the remaining portions of the airport's 1959 terminal complex. Concourse A opened in 1974 and has 6 Gates: A1, A3, A5, A6, A7, A8. Most recently home to Northwest Airlines (since merged with Delta Air Lines) and US Airways (since merged with American Airlines), this concourse is closed until further notice. Concourse B opened in 1974 and has 11 Gates: B1, B2, B4, B5, B7-B12, B15. Southwest Airlines uses gates B2, B4, B5, B7, B8, B9, and B15. Gate B1 space has been taken over by TSA for passenger screening, and the gate is no longer in use. Gates B10, B11, and B12 are currently vacant. Except customs pre-cleared flights, all nonstop international arrivals are handled by Concourse C. This concourse also contains both common-use and overflow gates, available for infrequent services and charter flights as well. Concourse C opened on March 18, 1992 and was remodeled in 2007, according to a design by Manning Architects, after being damaged in a tornado the previous February. The newest concourse, D, opened on December 23, 1996 and houses a Delta Air Lines Sky Club in between gates D2 and D4, the sole such airline club remaining at Armstrong. Originally completed with only six gates, Concourse D received a six-gate rotunda addition, designed by Sizeler Thompson Brown, and inaugurated in 2011. This rotunda includes gates D7-12. Concourse D has 12 operating Gates: D1 D12. Delta Air Lines (Gates D2, D4, D6, D8, D10, D12), United Airlines (Gates D1, D3, D5, D7, D9, D11), and Air Canada Express (Gate D7) operate from Concourse D.
On November 16, 1959 National Airlines Flight 967, a Douglas DC-7 flying from Tampa to New Orleans crashed into the Gulf of Mexico. All 42 passengers and crew were killed. On February 25, 1964, Eastern Air Lines Flight 304 operated with a Douglas DC-8 flying from New Orleans International Airport to Washington Dulles International Airport crashed nine minutes after takeoff. All 51 passengers and 7 crew members were killed. On March 20, 1969, Douglas DC-3 N142D, leased from Avion Airways for a private charter, crashed on landing, killing 16 of the 27 passengers and crew members on board. The aircraft was operating a domestic non-scheduled passenger flight from Memphis International Airport, Tennessee. On July 9, 1982, Pan Am Flight 759, en route from Miami to Las Vegas, departed New Orleans International. The Boeing 727-200 jetliner took off from the eastwest runway (Runway 10/28) traveling east but never gained an altitude higher than 150 feet (46 m). The aircraft traveled 4,610 feet (1405 m) beyond the end of Runway 10, hitting trees along the way, until crashing into a residential neighborhood. A total of 153 people were killed (all 145 on board and 8 on the ground). The crash was, at the time, the second-deadliest civil aviation disaster in U.S. history. The National Transportation Safety Board determined the probable cause was the aircraft's encounter with a microburst-induced wind shear during the liftoff. This atmospheric condition created a downdraft and decreasing headwind forcing the plane downward. Modern wind shear detection equipment protecting flights from such conditions is now in place both onboard planes and at most commercial airports, including Armstrong International. On May 24, 1988 TACA Flight 110 was forced to glide without power and make an emergency landing on top of a levee east of New Orleans International Airport after flame-out in both engines of the Boeing 737-300 in a severe thunderstorm. There were no casualties and the aircraft was subsequently repaired and returned to service. On March 21, 2015, 63-year-old Richard White walked into the airport armed with a machete and Molotov cocktails and began attacking TSA agents. He was subsequently shot and killed by a Jefferson Parish Sheriff's Deputy. The airport was closed to commercial air traffic on August 28, 2005, shortly before Hurricane Katrina struck New Orleans, and it remained closed as floods affected the city. The Associated Press reported on August 31 that MSY would receive humanitarian flights, and that the airport "has no significant airfield damage and had no standing water in aircraft movement areas", although the airport did, as the article put it, "[sustain] damage to its roofs, hangars and fencing." In early September, the airport opened only to military aircraft and humanitarian flights, and served as a staging center for evacuees. The airport reopened to commercial flights on September 13, 2005. At about 2:30 EST in the morning on February 2, 2006, a tornado touched down on the grounds of MSY. The damage from the tornado was significant but primarily confined to Concourse C, where American, United, AirTran Airways, and international arrivals were based. Many temporary repairs dating from Hurricane Katrina failed, including one roof patch, forcing airlines based in the concourse to relocate operations to vacant gates. Jetways and other ground equipment also sustained damage. The damage was confirmed by the National Weather Service as being caused by a tornado rated F1. By later that year, the tornado related damage had been repaired. Bus service between the airport and downtown New Orleans is provided by New Orleans Regional Transit Authority Airport Express Route 202 and Jefferson Transit bus E-2. Airport Shuttle has services to most hotels and hostels in the Central Business District of New Orleans for $24 per person (one-way) and $38 per person (round-trip). The terminals are directly served by U.S. Route 61, while other major highways that serve the airport include Interstate 10 and Interstate 310. There is a flat rate fee of $36 for taxis to/from the airport to/from most hotels the Central Business District/French Quarter (1 person/one way). On December 21, 2015, the New Orleans Aviation Board, along with the Mayor of New Orleans and City Council, approved a plan to build a new $598 million terminal building on the north side of the airport property with two concourses and 30 gates. Construction began January 2016, with Hunt-Gibbs-Boh-Metro listed as the contractor at-risk. Because of faster than expected growth at the airport, in March 2017 the New Orleans Aviation Board voted to add an approximate $178 million expansion to the new terminal complex bringing the total construction cost to $993 million, adding a third concourse and increasing the number of gates to 35. The opening of the terminal has been delayed four times, the original targeted completion date was May 2018, which would have been in time for New Orleans' 300th anniversary, but it was first delayed to October 2018. With the additional expansion the anticipated opening date was moved to February 2019 so that the entire complex could open at once. Due to a main sewer line issue, the opening of the new terminal was further pushed back to May 2019. In April 2019 the opening was further delayed until Fall 2019. There will be a centralized security checkpoint with all new shops and restaurants behind the security checkpoint, including a number of restaurants run by local chefs. A new garage with 2,190 parking spaces is also planned, along with a new, privately funded airport hotel. Airlines flying out of MSY have also, at their expense, funded the construction of a $39 million fuel system. A new four-lane access road to the airport will route to I-10 via Loyola Drive. The plans call for demolishing concourses A, B and C of the existing southside terminal complex, while repurposing concourse D for charter services and administrative offices. The airport currently has 34 gates but only uses 30 gates; the new terminal is designed for 35 gates, with an option to expand to 42. ^ "Armstrong International Breaks All-Time Record High for Total Passengers - Press Room". Retrieved April 30, 2017. ^ a b FAA Airport Master Record for MSY (Form 5010 PDF), effective March 10, 2011. ^ "Dedication Plaque of Louis Armstrong New Orleans International Airport 2012". Airchive. 2CMedia. Retrieved January 8, 2013. ^ "MSY73". www.departedflights.com. Retrieved 2017-12-05. 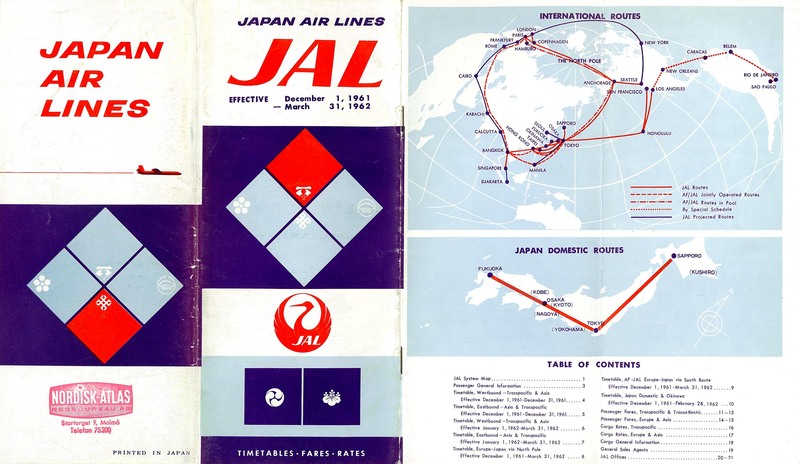 ^ "JAL timetable, 1961". timetableimages.com. ^ "JAL timetable, 1966". timetableimages.com. ^ "1946: Moisant Field opens on outskirts of New Orleans". The Times-Picayune. 19 November 2011. Retrieved 22 February 2018. ^ "Dedication Plaque of Louis Armstrong New Orleans International Airport 2012". Airchive. 2CMedia. Retrieved October 15, 2014. ^ "AirTran Airways Press Release". Pressroom.airtran.com. Retrieved August 13, 2012. ^ "Air Canada adding service to New Orleans in ongoing expansion of transborder flying from Toronto hub". Quebec, Ontario, Louisiana: Prnewswire.com. Retrieved August 13, 2012. ^ "Book Flights, Holidays & Check In Online - British Airways". Archived from the original on December 2, 2006. Retrieved April 30, 2017. ^ "Book & Plan". Retrieved April 30, 2017. ^ Chatelain, Kim (March 19, 1992). "Airport Concourse is Opened to Raves". The Times-Picayune. New Orleans. ^ "Louis Armstrong New Orleans International Airport Concourse C - Manning Architects". ^ Grissett, Sheila (December 24, 1996). "Airport's Big D New Concourse Sleek, Modern and Best of All, Shorter". The Times-Picayune. New Orleans. ^ "Travel - Sizeler Thompson Brown Architects". Retrieved April 30, 2017. ^ Hammer, David (October 28, 2011). "New Orleans Airport Opens Concourse D Expansion". The Times-Picayune. New Orleans. Retrieved November 3, 2011. ^ "Timetables". Retrieved 26 February 2017. ^ "Flight Schedule". Retrieved 26 February 2017. ^ "Louis Armstrong New Orleans International Airport - Airport Data & Statistics". ^ "Louis Armstrong New Orleans International Airport". ^ "New Orleans, LA: Louis Armstrong New Orleans International (MSY)". Bureau of Transportation Statistics. Retrieved August 13, 2012. ^ "ASN Aircraft accident Douglas DC-7B N4891C Gulf of Mexico." Aviation Safety Network. Retrieved on December 23, 2009. ^ "N142D Accident Description". Aviation Safety Network. Retrieved February 9, 2011. ^ "AP New Orleans News Online Breaking News & Headlines from Associated Press". nola.com. November 1, 2011. Archived from the original on September 13, 2005. Retrieved August 13, 2012. ^ Nossiter, Adam (September 13, 2005). "News > Nation > Hurricane Katrina New Orleans airport reopens". SignOnSanDiego.com. Retrieved August 13, 2012. ^ "Jefferson Transport Bus Routes". Jefferson Parish Transport. Retrieved April 26, 2013. ^ "Louis Armstrong New Orleans International Airport Ground Transportation". Louis Armstrong New Orleans International Airport. Retrieved August 24, 2011. ^ "$598 million airport terminal contract gets New Orleans Aviation Board approval". NOLA.com. Retrieved 2017-05-20. ^ a b "New Orleans Aviation Board Votes To Expand, Finance Airport's North Terminal Project - Biz New Orleans - March 2017". www.bizneworleans.com. Retrieved 2017-05-20. ^ Larino, Jennifer (2018-09-20). "New Orleans' new airport terminal opening delayed to May 2019". nola.com. Retrieved 2019-03-21. ^ "New Orleans Delays New MSY Airport Again". Simple Flying. 2019-04-13. Retrieved 2019-04-18. ^ "Armstrong Airport board approves restaurant lineup for new terminal". NOLA.com. Retrieved 2017-05-20. ^ "Bond Commission approves borrowing for New Orleans airport makeover". ^ "New Orleans airport's new $807 million terminal to begin construction Jan. 4". NOLA.com. ^ Vargas, Ramon Antonio. "Kenner council paves way for new $7 million airport access road". The Advocate. Retrieved 2017-05-20. This article based on this article: Louis_Armstrong_New_Orleans_International_Airport from the free encyclopedia Wikipedia and work with the GNU Free Documentation License. In Wikipedia is this list of the authors .